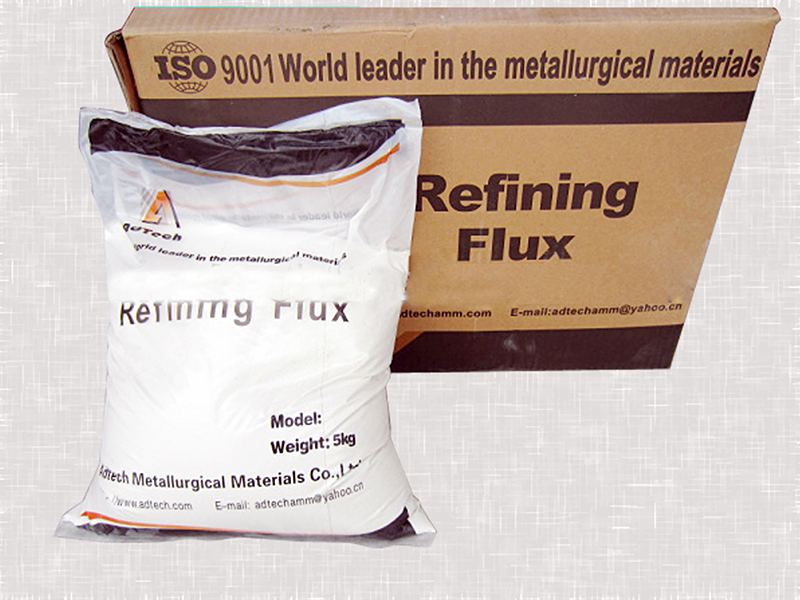 Refining Agent flux of required amount into refining tank and cover it properly, turn on the switch of refining tank and connect nitrogen gas. When Refining Agent is spraying out of refining iron tube, insert it into the furnace and move all around inside evenly for 2 or 3 times. When powder inside the tank is sprayed completely, first draw out the refining tube out of aluminium liquid, and then switch off nitrogen gas. · It is 2kg a dry and ventilated place. The storage period is one year if plastic bag is not damaged. It can be further used when it is ground into powder and dried under the temperature of 100℃. If you are looking for the high efficiency refining agent for molten aluminium for sale, welcome to place orders with our professional manufacturers and suppliers in China. We will offer you the unmatched price and satisfactory service.